Having your first eye test is a big deal! Not just for the child but also for the parent. 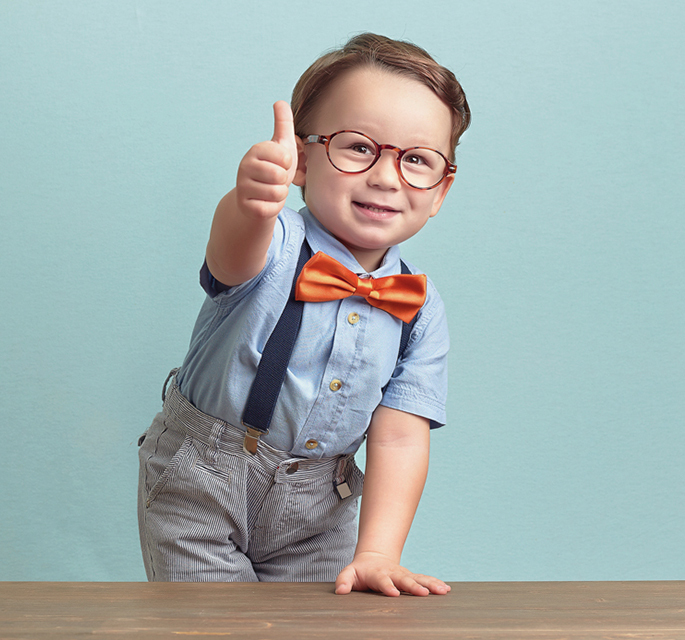 Our optician caters the eye exam to suit the needs of your child. He builds confidence and a rapport with the child to make them feel comfortable. The test chart has the facility to use shapes and objects to assess the visual function of your child’s eye. Pictures of clowns and cartoons can be introduced so the environment is not too alien. Lower case letters and numbers are also available. WHAT AGE SHOULD I GET THEIR EYES EXAMINED? If you have an eye concern from birth then your health visitor or GP will detect this. 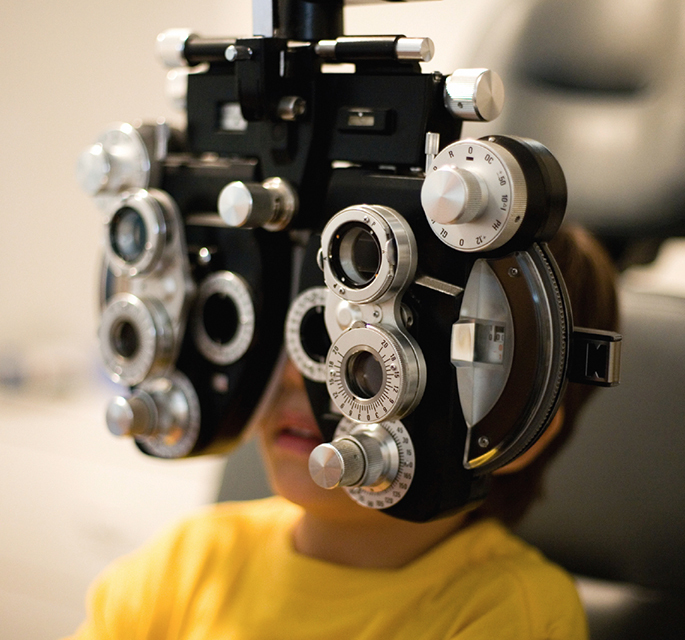 The Oculist has no age limit for children but we ask that you use your judgement as to when you feel your child will interact with an Optometrist. A child’s vision develops from birth up to the ages of seven to nine. This is known as the critical period of visual development. It is important that you ensure your child has a minimum of one eye test per year during this period. 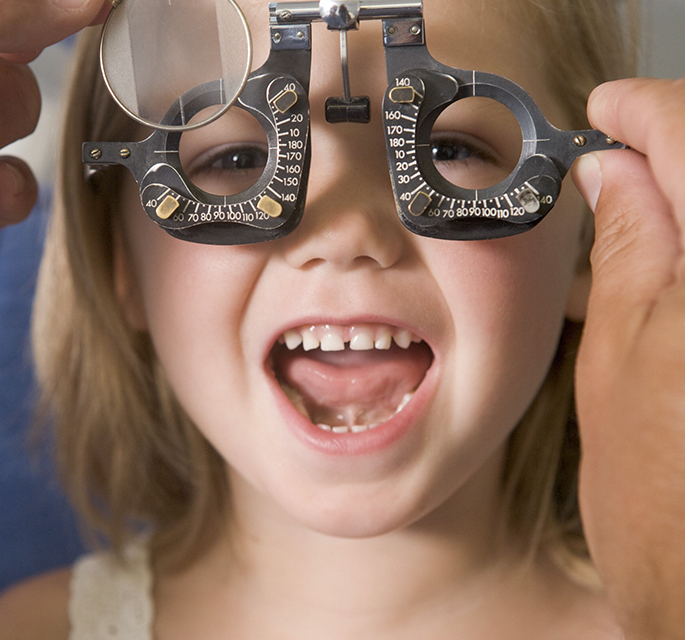 The Optometrist will advise you how frequently your child needs a test depending on your child’s vision. The eye has three retinal pigment cells which allow us to see in colour. Males have a higher probability of having a colour vision defect. Approximately 8% of males have a congenital colour vision defect. This is hereditary. It is important to assess the colour vision as this may determine what future occupation your child may choose. This test examines the functionality of both eyes and if they are working together. It can also help detect squints. Binocular vision can be influenced during the critical period. Ready to book your child’s eye test? That’s great news, you both obviously have impeccable taste!